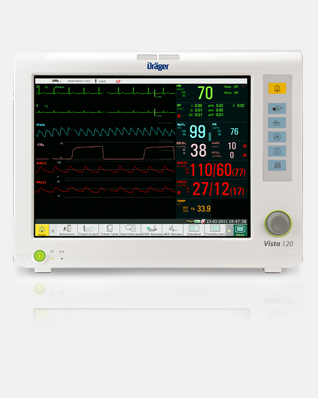 The Vista 120 offers essential monitoring capabilities at an exceptional value and meets the needs of a variety of care environments for adult, pediatric and neonatal patients. 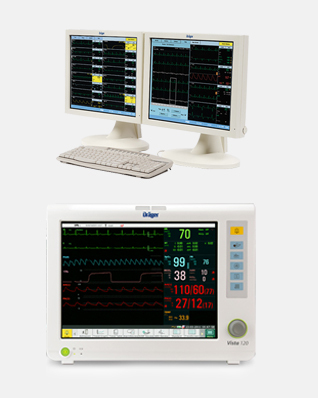 The 380 mm (15 inch) color touch screen provides a clear view of vital patient data, and the quick access menu, hard keys and rotary knob enable easy navigation for the clinician. 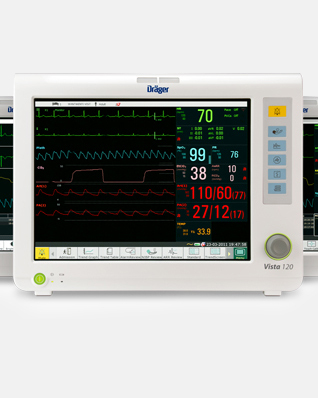 Available in three models, the Vista 120 displays 8 waveforms in an easy-to-configure layout. A core set of essential parameters comes standard on all models: 3/5 lead ECG, SpO2, non-invasive blood pressure, respiration and dual temperature. 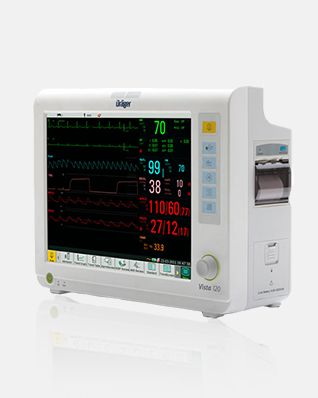 In addition, advanced parameters are available, including two invasive blood pressures and etCO2, depending on the model. The Vista 120 has an integrated recorder that prints out up to 3 channels of information – saving time by providing documentation when and where you need it. There is a built-in power supply for direct AC connection, as well as an optional 120-minute built-in battery.